“Beauty is in the eye of the beholder” and in my opinion, so is luxury. Luxury should not stop at the boundaries of decadent or expensive. In my opinion, the following gastronomic destinations each offer so much to their visitors in their own individual way; from the dramatic and glamourous, rustic and authentic and steeped in mystery. The popularity of gastro-geography is ever increasing. For those of us who live in anticipation of our next meal revel in the idea of having every sense appealed too when picking travel destinations. Below is a small snapshot of some of the lesser known, culinary hot spots across the world. San Sebastian, or Donostia as its known to locals is 2016’s European Capital of Culture. However even before this prestige title, it was long deemed as one of the world’s best places to dine and a destination that is dedicated to the finer things in life. A somewhat mysterious city located in the Basque country, the scenery switches between a surfer’s paradise offering crystal clear waters and craggy mountains that provide a dramatic backdrop. The local language is dotted with seemingly misplaced Xs, Ks and Ts. When it comes to all things gastronomic, the facts speak for themselves. San Sebastian boasts the biggest concentration of Michelin starred restaurants than anywhere else in the world. 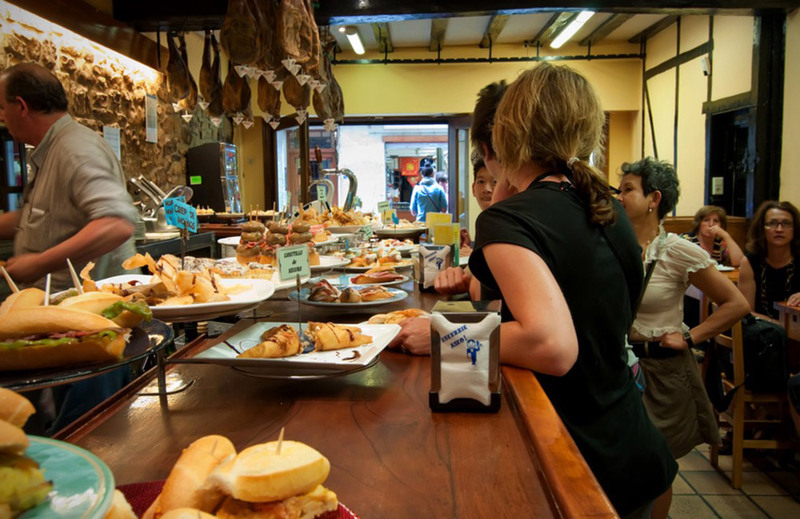 It’s famous for its regional style of tapas dishes, called Pintxos which is served in almost every eatery around the City. The bite sized creations range from basic, braised pigs ear, cheesecake and tortillas to the baroque – think ‘drama’ with dry ice, foams and jellies. Of course, we wouldn’t being doing the ancient city justice without mentioning its local cider and effervescent, sharp wine – Txakoli. If you have been to Rome before, it’s likely that you have dutifully ticked off the Santa Maria Maggiore basilica, the Colosseum and even the Vatican. 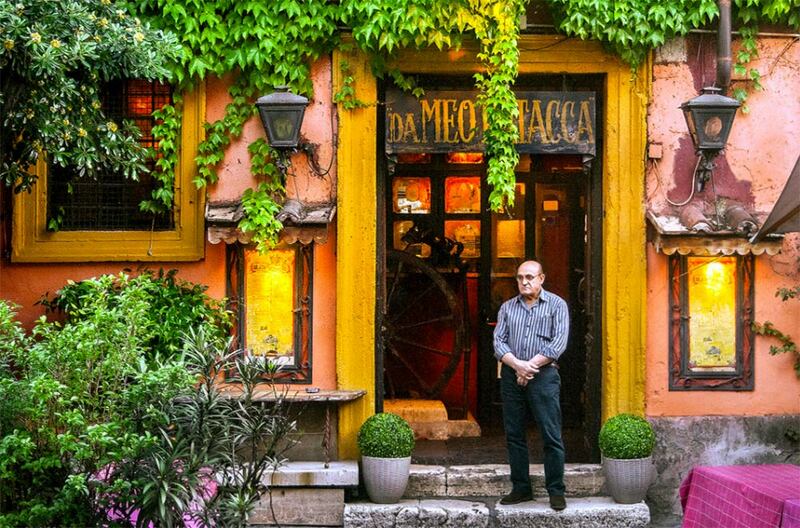 Many feel obliged to cross Rome off of their bucket list once these sights have been witnessed – but it’s a city that deserves a visit purely on the strength of its edible offerings. Once away from the ever crowded hotspots, you will find refuge in the charming yet bohemian residential neighbourhoods such as Monti. The atmosphere in Monti firmly centres on enjoying Rome’s boutique atmosphere coupled with its impressive and humbling architecture. Forget what you think you know about Italian food and immerse yourself in local offerings such as ‘peasant’ flatbreads, artisan breads and sweet almond based drinks such as Latte Di Mandorla. The gentrification of the area means that heavy and comforting traditional cuisine has been streamlined and is often found in the form of gourmet tasting menus. Italy made a recent commitment to ‘zero-kilometre’ food, meaning that the dishes you enjoy will be the epitome of fresh and organic, whilst still carrying the panache that you would expect. Plates that present ricotta stuffed ravioli with broad bean puree and toasted hazelnuts should be accompanied with local craft beer. For an unusual eating experience be sure to visit Urbana 47 – a restaurant with a cinema room, where film nights feature food and wine matched to the featured presentations. Far from the beaten track (and relatively undiscovered by hordes of tourists), Valle de Guadalupe is a beautiful location nestled in an other-worldly landscape of green valleys and hills covered in boulders. Situated at the northern end of the Baja California peninsula, its conditions (cool sea breezes, dry summers and damp winters) are ideal for grape growing and its first commercial winery can be dated back to 1888. It’s not uncommon to see Mexican cowboys riding in the roads or traditional ‘casitas’ that are void of electricity, in amongst luxury ranches. The peaceful surroundings encourage visitors to connect with mother earth – namely the big sky and the land, which is producing some of the finest New World wines and innovative food. Chefs in the area are making a name for themselves, and no less than 10 restaurants in the area found themselves on the ‘ Latin America’s 50 Best Restaurants’ list. 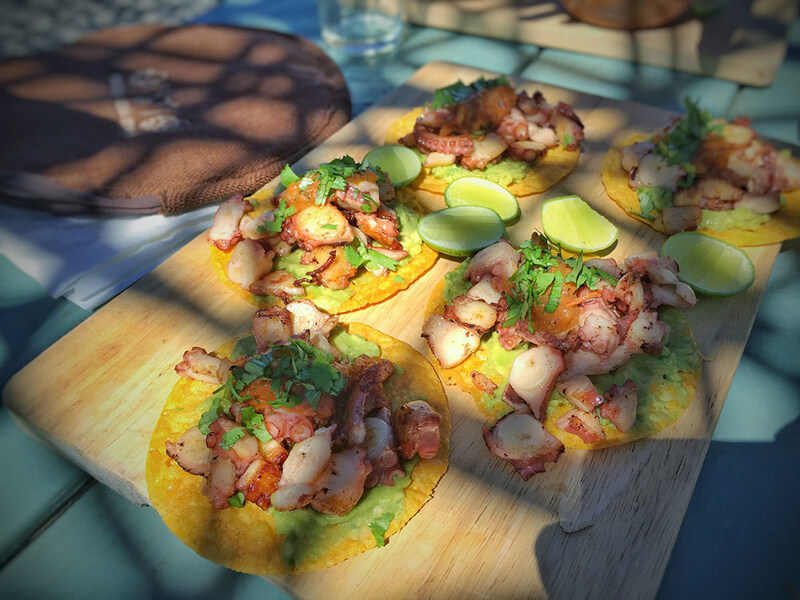 Dishes that blend modern elegance with rustic traditions can be expected; tuna in jalapeno and sea urchin sauce, venison tacos washed down with a local spicy Tempranillo can be expected. Described as an intoxicating and enchanting, Marrakech in a bustling and vibrant city. Many visitors embrace its ability to overwhelm and spend hours losing themselves among the time scarred walls and colourful Souks. Everything about The Red City is brought back to food, it’s a complete sensory overload. 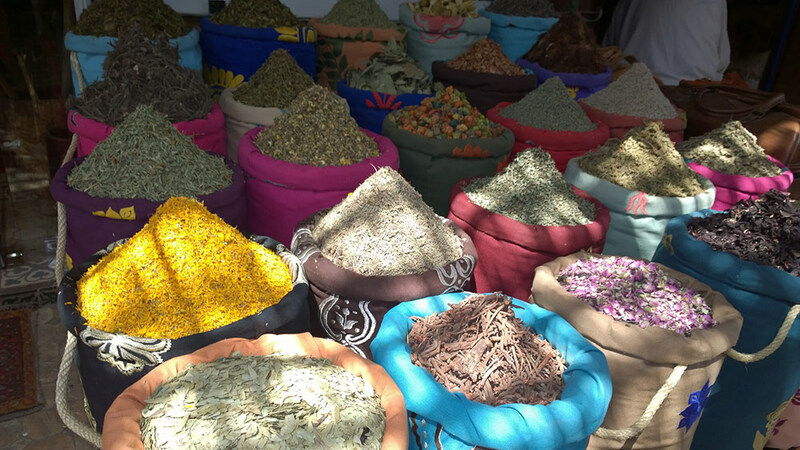 Wandering the Souks will tease you with the scent of exotics herbs, spices and fresh fruit. Men adorned with cloaks lead donkeys that are laden with vegetables meander through the cobbled streets. During the day, sip on mint tea and indulge on saffron scented date cake from the shade of a Kasbah but the night is when the Arabic city really comes alive. Locals meet over dinner and clouds of cooking smoke fill the air. The authentic fragrant tagines jewelled with apricots, served on hand beaten copper trays must be tried, along with cumin coated calamari served with harissa, or even a camel burger! Whatever you do, be sure to enjoy the star filled sky and city skyline from a rooftop terrace, cucumber martini in hand.